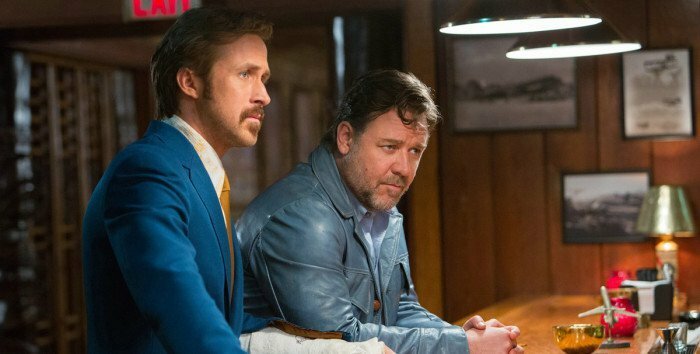 The Nice Guys reboot has been picked up by Fox and will be written by Michael Diliberti, who wrote 30 Minutes or Less, according to Deadline. Although the 2016 black comedy was set in the 1970s, The Nice Girls is described as a “one-hour contemporary female take” on the feature film, which was produced by frequent Black collaborator Joel Silver. Joel Silver is the figure behind this TV reboot. He and Rodney Ferrell, from his studio Silver Pictures Television, are executive producing the series, which is helming the project as part of a first-look deal at Lionsgate TV. This is not the first time a feature film has been adapted into a primetime procedural series, with movies like Limitless, Frequency, Taken, Training Day, Lethal Weapon, Rush Hour, and Minority Report, making the leap from the big to small screen. Indeed many of these reboots have had modern makeovers, receiving leads of color or female leads, such as Minority Report or Frequency. It’s just the premise of The Nice Guys seems far too insular — and to be honest, convoluted — to make for an episodic TV show. As much as I enjoyed the profanity and violence-laced noirish romp, the movie was steeped in casual misogyny that the protagonists engaged in. And when it makes the transition to TV, there’s no doubt it will be a wholly different story in a “contemporary” setting. Why not just create a new story centered on female leads? Other than the catchy name, it doesn’t seem worth the effort to adapt. While I’m all for more female-led TV shows, this news only elicits a somewhat perplexed response from me. The film was a riotous black comedy that tapped into the latent comedic potential of its charismatic stars but seems an odd choice for a TV reboot. Maybe my mind will be changed whenever its first trailers roll around. What do you think of The Nice Girls? The post WTF: Shane Black’s ‘The Nice Guys’ Getting Female-Driven TV Reboot ‘The Nice Girls’ appeared first on /Film.